Myth: Social Security is bankrupt, or going bankrupt. This persistent bit of misinformation has been making the rounds for decades, even as the fund has taken in more than it has paid out in benefits. But according to Kenneth Terrell, writing for AARP Bulletin, this is the first year that is not true. 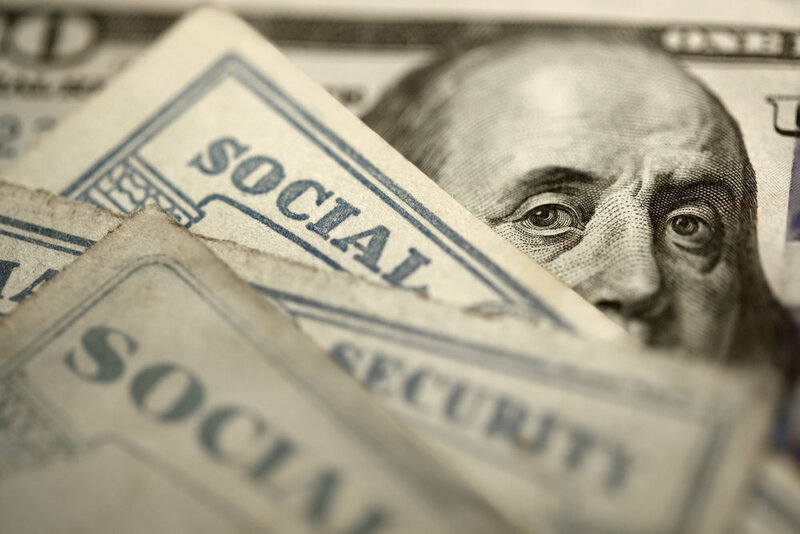 As baby boomers have continued to retire at a rate of about 10,000 each day, the Social Security trust fund is now paying out more in benefits than it is taking in. That means we need to dip into trust fund reserves to continue to pay 100% of benefits. Fortunately, there is a positive balance in the reserve account. In fact, there is almost $3 trillion in the account. Current estimates project that without any changes to the program, the reserves could be depleted by 2034. But when and if that occurs, it doesn’t mean retirees and other recipients will get nothing in benefits. It just means the amount paid in benefits will need to equal the amount received from payroll taxes and other sources of revenue. The current projection is that recipients would get about 80% of their benefits. That might be a tough cut for a retiree living on a fixed income, but it is way better than losing all Social Security income benefits. True: Removing the payroll tax cap could ensure benefits for decades. The Social Security tax is 6.2% of wages up to $132,900. That cap rises a little each year, but bottom line, it means someone earning $133 million pays the exact same amount of Social Security taxes as someone making $133 thousand. By eliminating that cap, revenue would once again top benefits paid out and worries of reduced benefits would be alleviated. Myth: That last thing could be done easily. Social Security reform is not top of the agenda in Washington, and with control of Congress now split, there is no sign that the Republican Senate and the Democrat-controlled House of Representatives will come up with a bipartisan bill. The two parties are not on the same page about how to keep Social Security in the black, not to mention their voting constituents. Seems this can might get kicked down the road a while, until a crisis is imminent. In other words, usual Washington. True: Social Security benefits can be taxed. Up to 85% of your benefits could be taxed if you have other income, and those income limits are pretty low: $34,000 for a single filer and $44,000 for couples filing jointly. In addition, 13 states tax benefits under certain conditions: Colorado, Connecticut, Kansas, Minnesota, Missouri, Montana, Nebraska, New Mexico, North Dakota, Rhode Island, Utah, Vermont, and West Virginia. Myth: You can get retirement benefits only if you’re retired. Well, how could that be a myth? Jeez, don’t words mean anything anymore? Truth is, if you start taking benefits at full retirement age, you can continue to work and it won’t impact your benefit amount (although as stated above, you may be subject to taxation). If you take benefits early, your benefits may be reduced if you earn more than $17,640, but whatever the reduction is, you’ll receive it later when you reach full retirement age. True: Social Security benefits don’t keep up with inflation. While the Social Security Administration (SSA) increases benefits each year based on increases to the cost of living, the formula to calculate the increase doesn’t fully account for medical expenses, which for many years have been rising at a much faster rate than other goods and services. For retirees on fixed income, that means they’ll need to reduce expenses or increase income from other sources to make ends meet as they age. Myth: Social Security will make you secure. It’s right there, in the name. Social Security is intended to provide security, right? Well, right. Just not to who you think. It is for the economic security of the country that we ensure seniors don’t live in poverty, and retirement benefits from the Social Security program do just that: Keep seniors out of poverty. But they are not intended to fund a comfortable lifestyle. You’re getting just enough to keep off the government dole. Hence, the name Social Security. The Center on Budget and Policy Priorities says that this year, the average retirement benefit was about $1,413 a month, or about $17,000 per year. That would replace about 39% of an average worker’s salary. Even with expected decreases in household expenses post-retirement, that is going to leave quite a gap to continue to maintain your lifestyle. If your retirement plan depends solely on Social Security for income after you stop working, then cuts in benefits or program bankruptcy are not your risks. You just won’t have enough to live anything more than a meager lifestyle. If that’s your plan—the whole tiny-house, no-vacation, walk-to-the-market, darn-your-socks, recycle-the-bathwater thing—then you’re good. Otherwise, you need to plan for substantial income from other sources to retire comfortably and stay comfortably retired. Newer PostWhere Have I Seen This Before?